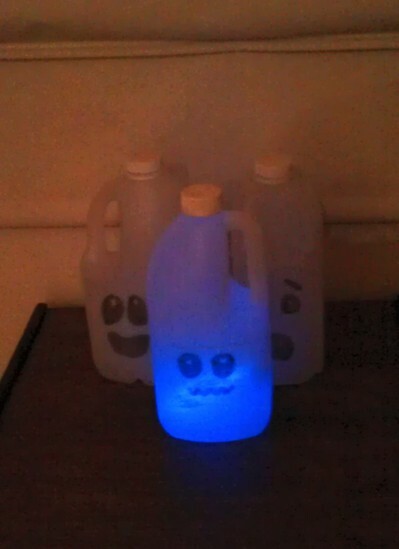 Glow-in-the-dark ghost bottles - a fun recycled craft activity for Halloween. Really effective in a dark room. 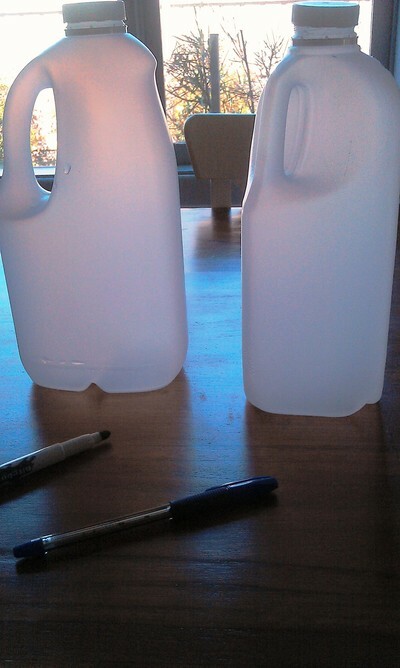 Rinse out empty bottles and remove labels. Do not throw out bottle lids. 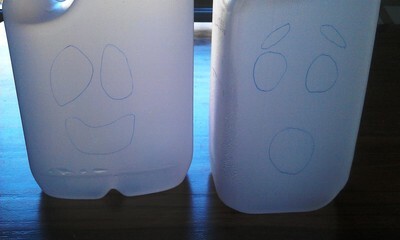 Using a biro pen, draw faces (the outline of eyes and mouth) onto one side of your empty bottle. 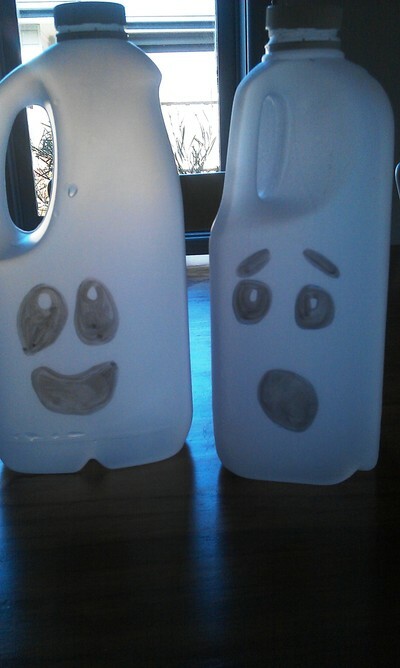 If you'd like to make a few ghosts, draw different expressions on each bottle with different mouth shapes. 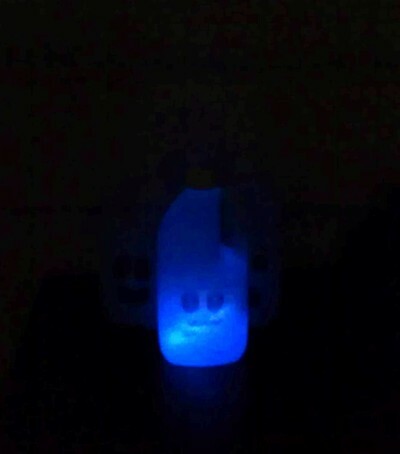 Crack and shake your glow stick, and place inside your bottle. Place in a dark spot.